If you were not a cat person before, these little chopstick rests might change your mind... I mean, the cat is standing over a piece of fish! Too cute! 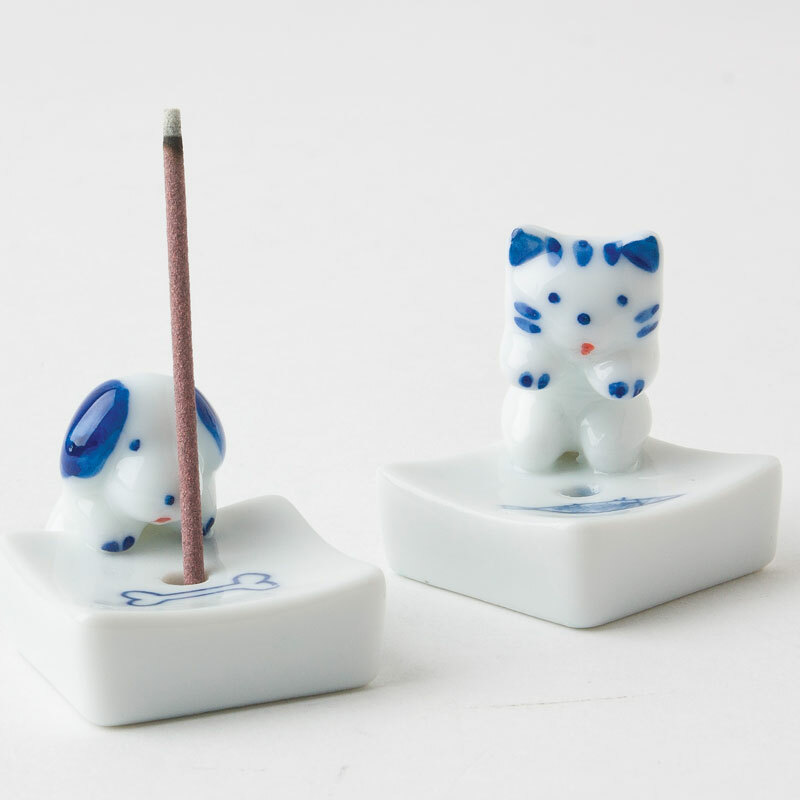 Use them to hold your favorite incense or just for decoration. They brighten up any work space! 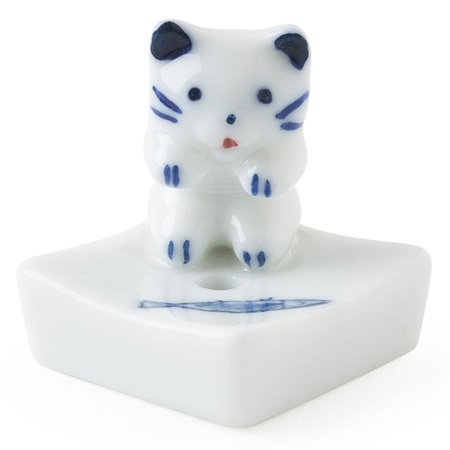 And if these weren't cute enough, try resisting the doggy chopstick rests (item # 3915B). 1.25" sq. Dishwasher safe. Made in Japan.